Today as our journey started with workplace wellness program it is important to question certain perceptions that there are specific age brackets that feel stress more than others, or that women go through more stress than men in organizations. But a recent study indicates that stress occurs irrespective of age or gender. The research study between Chestnut Global Partners India and SHRM India in 2016, covering a total of 2,157 respondents from 12 organizations, showed that there are high levels of organizational productivity loss which are directly linked to workplace stress and a lack of employee wellness. SHRM study shows that total organizational productivity loss per year approximately adds up to INR 49.67 Crores, 105.48 Crores and 10.5 Crores across IT/ITES, Finance / Banking and Travel & Hospitality sectors respectively, making the problem a serious contender for organizational investments on holistic health and wellness of employees, particularly with a focus on minimizing stress levels. Given these results, it’s clear that stress can become a big reason for business decline . 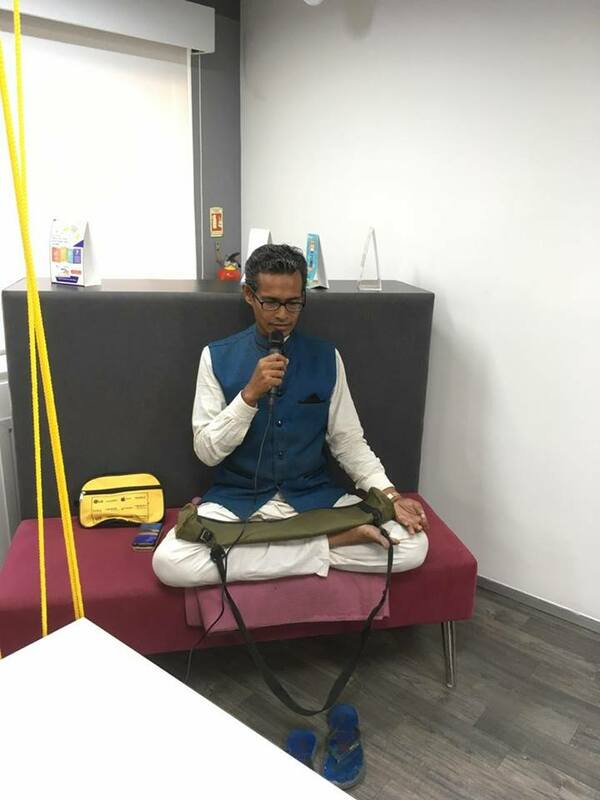 Classes where held on Workspace Wellness and Lifewise Corporate Program in Sri Joydip Ashram Gyan Yoga Training and Research Centre in Saltlake,at 1st floor of Globsyn building in colloboration with AWFIS. Recent study of Southampton university , gave an alarming figure that eighty person of our disease, orginate from work place stress. In Indian context also an recent, SHRM study, shows that lack of respect is the major cause(personal stressor) of Workplace stress. The Beauty of Yoga, is ,it helps us to respect ourselves, and respect people around us, and that can reduce any stress in any work environment. Every Yoga poses start with Namaskar Asana which is respecting the presence of soul in us, and the soul around us. An unknown person to me, Ratish Mishra, from Corporate India, send me this beautiful wish message, through LinkedIn, after reading about our work on “Yoga for Workplace Wellness ” drive we are taking with Awfis. “This was a very short program , but it carried the point forward and told what we need to know ,about workplace stress.Thanks for coming , it was very helpful”. Feedback on Workplace Wellness program in Saltlake Globsyn building by an participant after the program. “We could connect with what exactly , you are saying, and understand how important it was for us. Thank you very much”.